Branched chain amino acids BCAA supplementation is the basis for any athlete! Therefore, they could not miss in a group of products aimed at the most demanding! 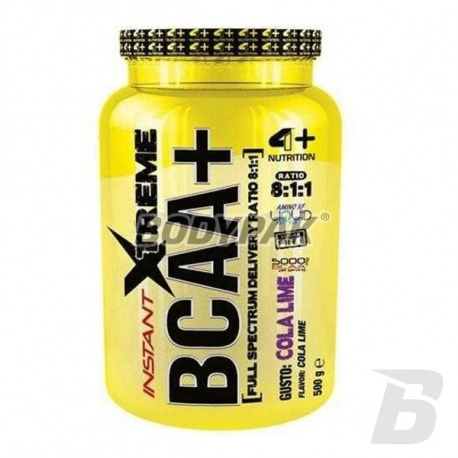 4+ INSTANT Xtreme BCAA + is a food supplement - branched chain amino acids BCAA in powder form. It is used in addition to an athlete's diet with vitamins B with particular emphasis on vitamins B2 and B16, which help to reduce fatigue. In contrast, vitamin B1 and B12 they support the energy metabolism of the body. BCAA branched amino acids make up more than 30% of lean muscle mass. Intense training leads to the exhaustion of energy reserves, as well as the reduction of branched chain amino acids. 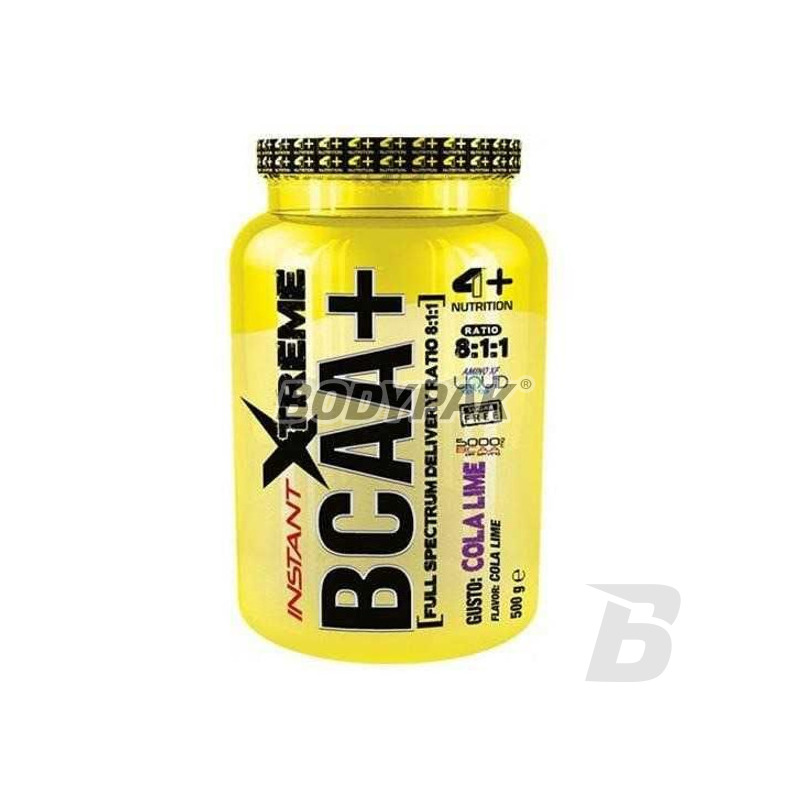 4+ INSTANT Xtreme BCAA + also indirectly affects the secretion of growth hormone and insulin - a very strong anabolic hormone. It is designed to support the effort in all sports with a high-intensity workout. It enhances the growth of muscle mass and strength and increase physical fitness. Składniki: L-leucyna, L-izoleucyna, L-walina (aminokwasy rozgałęzione w proporcji 8:1:1), regulator kwasowości (kwas cytrynowy), aromat, substancja słodząca (sukraloza), barwnik (karmel), witamina B6 (chlorowodorek pirydoksyny), witamina B2 (ryboflawina), witamina B1 (chlorowodorek tiaminy), kwas foliowy (kwas pteroilonoglutaminowy), witamina B12 (cyjanokobalamina). mimo wysokiej ceny polecam spróbować!